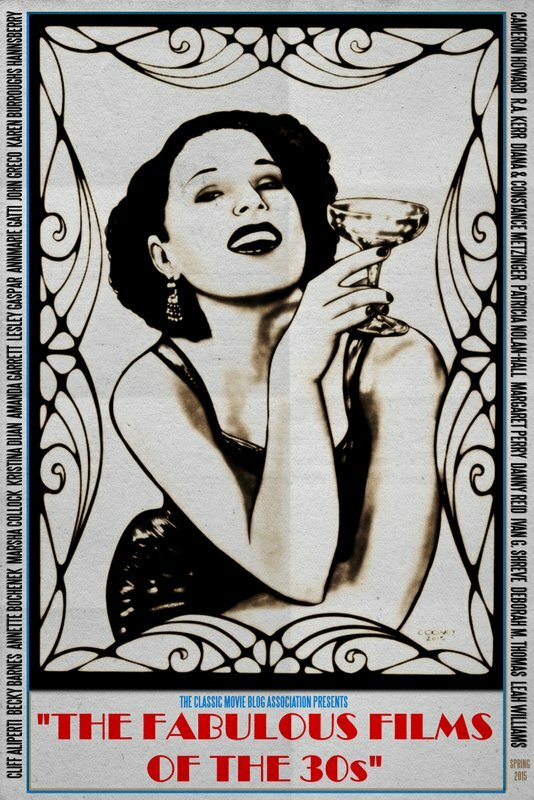 Please, I beg of you, take a moment and read the tagline at the top of the 1949 poster. Just tremendous. 1937’s Easy Living‘s tagline was: A CRACKPOT COMEDY THAT’LL BLAST THE VINEGAR OFF EVERY SOURPUSS IN TOWN! I’m not entirely sure what that means, but I love it. 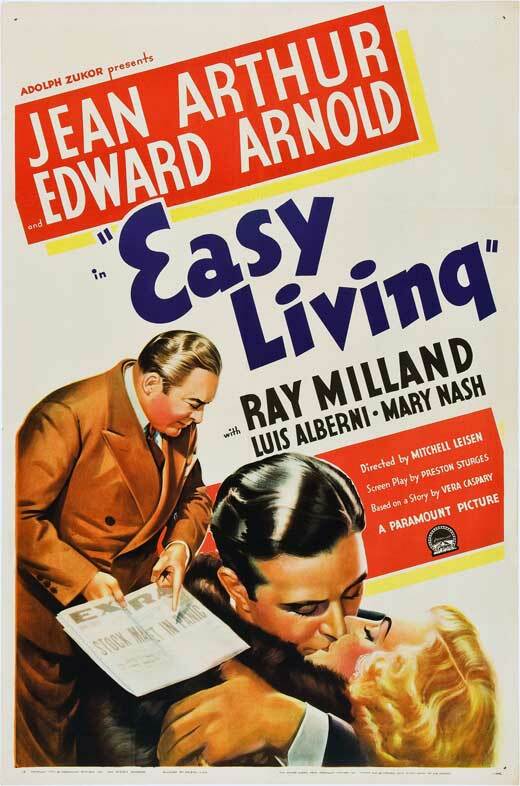 Easy Living was written and directed by extremely talented and capable screwball comedy people: the screenplay was adapted by Preston Sturges from a short story by Vera Caspary, and it was directed by Mitchell Leisen. Preston Sturges was an incredible screenwriter/director whose movies remain timelessly funny and fresh seventy years later. He started in screenwriting but longed to direct what he wrote, and he finally got the chance with The Great McGinty (1940). After that film’s success, Paramount let him do his thing from the director’s chair with Christmas in July (1940) and then the The Lady Eve (1941). 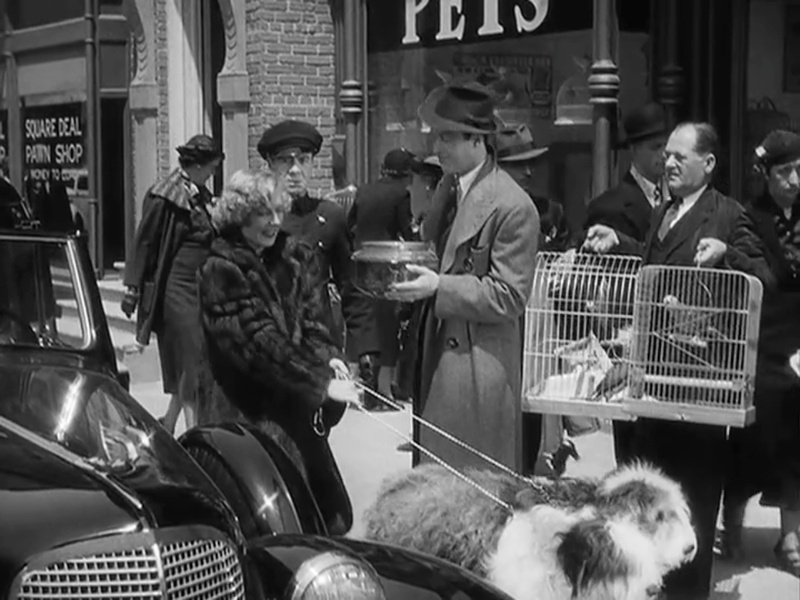 Sturges wrote a screenplay based on Caspary’s story “Easy Living,” and showed it to Paramount producer Maurice Revnes. But it was shot down: “When I presented the screenplay to Mr. Revnes, however, he told me that 1936 was not the time for comedies and wanted to abandon the whole project. I disagreed. Any time was a good time for comedies. I took the script to Mitch Leisen myself, which resulted in the picture [getting made]…” Arthur Hornblow, Jr. ended up as producer, by the way. 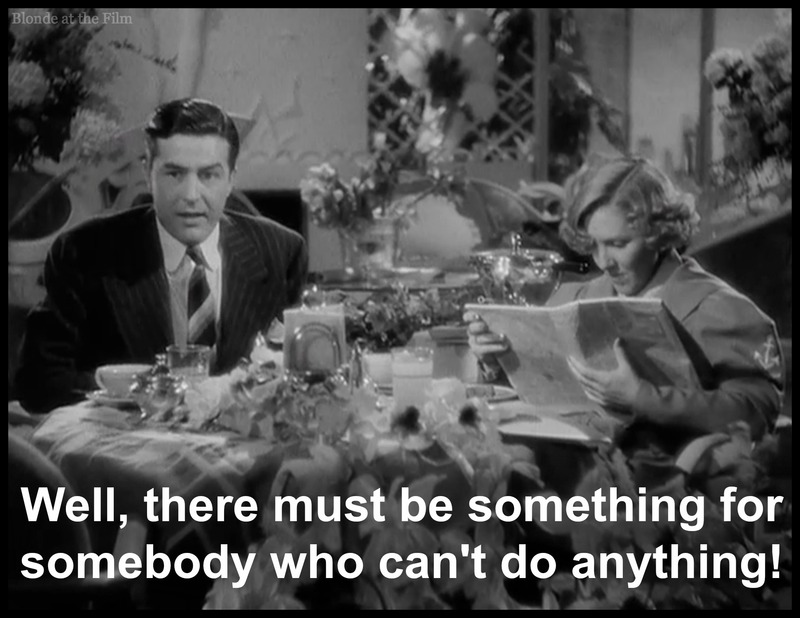 I always enjoy Mitchell Leisen’s movies; they’re quick, witty, and stunningly beautiful. Leisen is a unique director because he started out in art direction and costume design on 1920s and early 1930s Paramount productions before becoming a director. His prodigious talents and experience in design influenced his work as a director, and his movies present a delicious, gorgeously designed version of reality. I love film historian John Baxter’s description of Leisen’s films: “[Leisen’s] work exhibits a faultless sense of design, a couturier’s feeling for drapery, and an acid cynicism.” “A couturier’s feeling for drapery!” indeed! 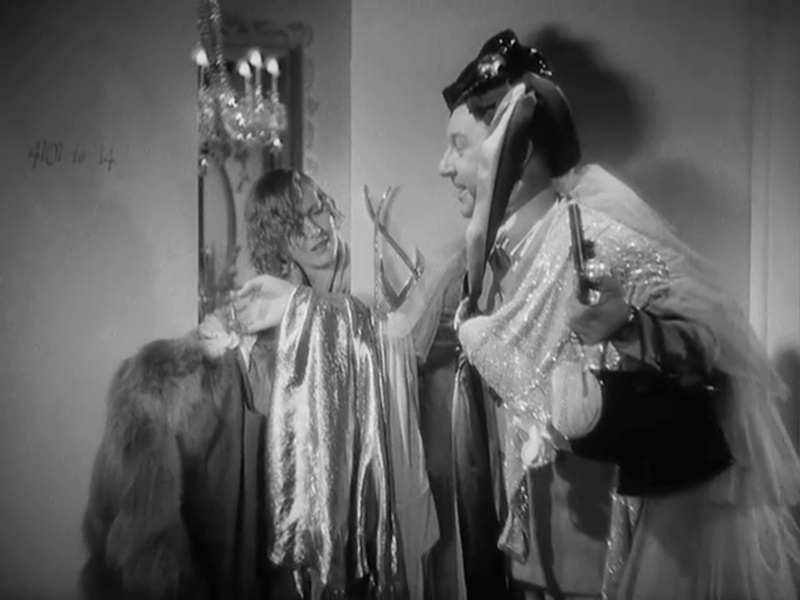 Leisen’s movies are gorgeous but with a sense of humor so they’re not self-consciously or jarringly stunning, and clothes and sets really play an important role in his films, which I adore. The movies explore what happens when you give a person a new, expensive wardrobe and plonk her down in new, expensive surroundings. Change your clothes, change your life! Will the heroine sacrifice her principles and integrity when she is blinded by sable and diamonds? Well, no, but she will have a a nice time before she goes all noble. 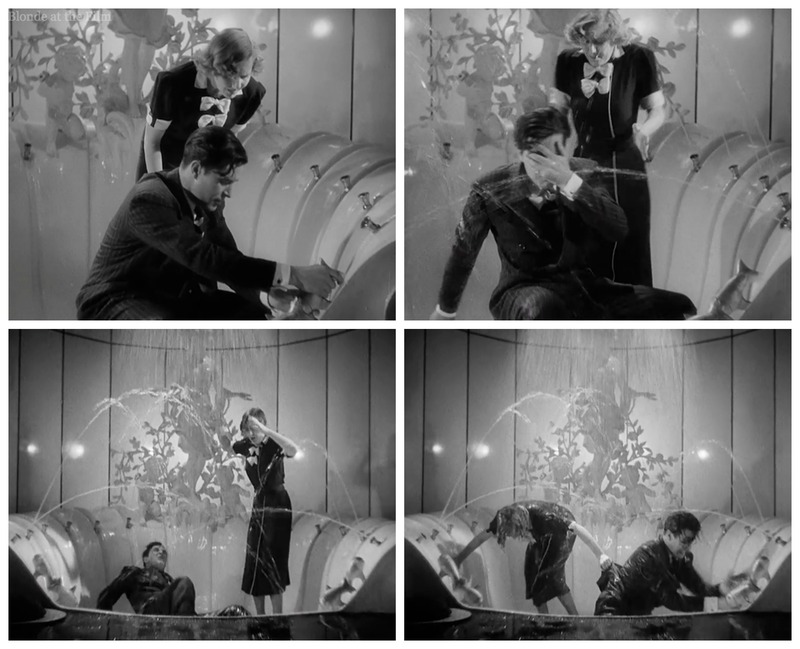 Leisen was not the only director making these types of movies, but I think he does it very well. There’s a glorious shimmer, slight unease, and flawless timing in a Leisen film. And usually a fashion show or two! 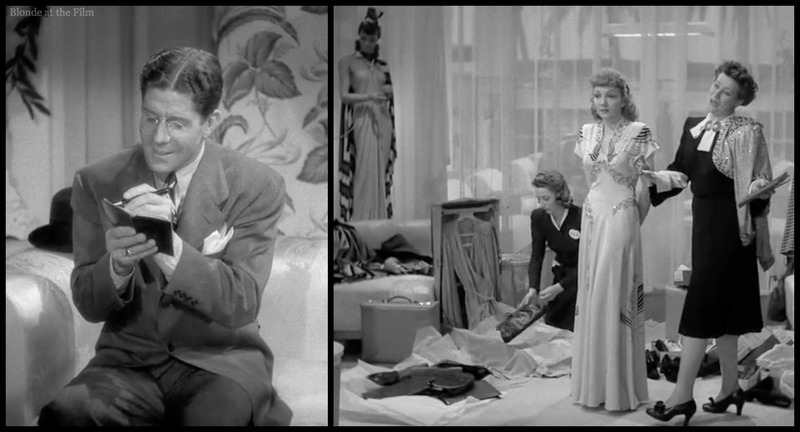 Sturges and Leisen appreciated the difference clothes can make in a person’s life. If you want to act like someone else, or be perceived differently, get some new duds! Easy Living is especially interested in this–it all starts (and ends) with a fur coat. 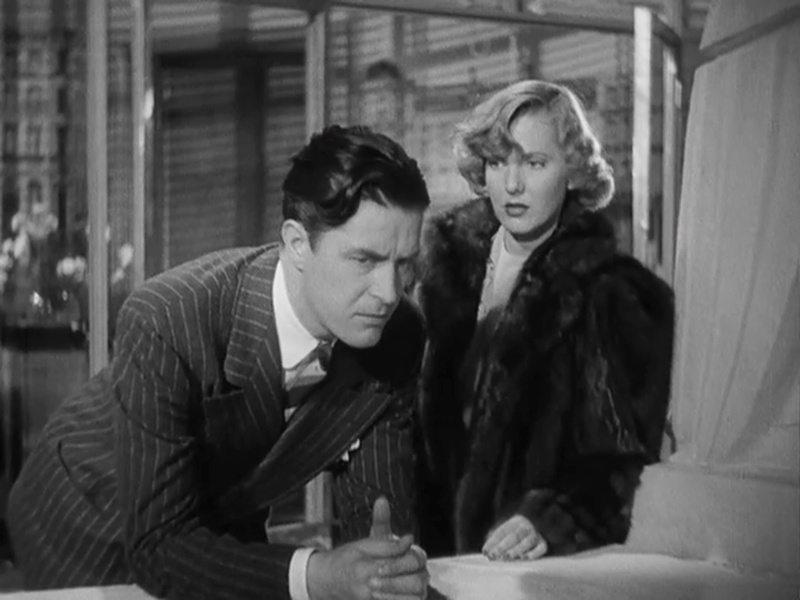 This movie stars Jean Arthur as a hard-working, decent woman who gets swept up into screwball situations, and lands in a tangle of sexual tension, imperiled reputations, and comic misunderstandings. 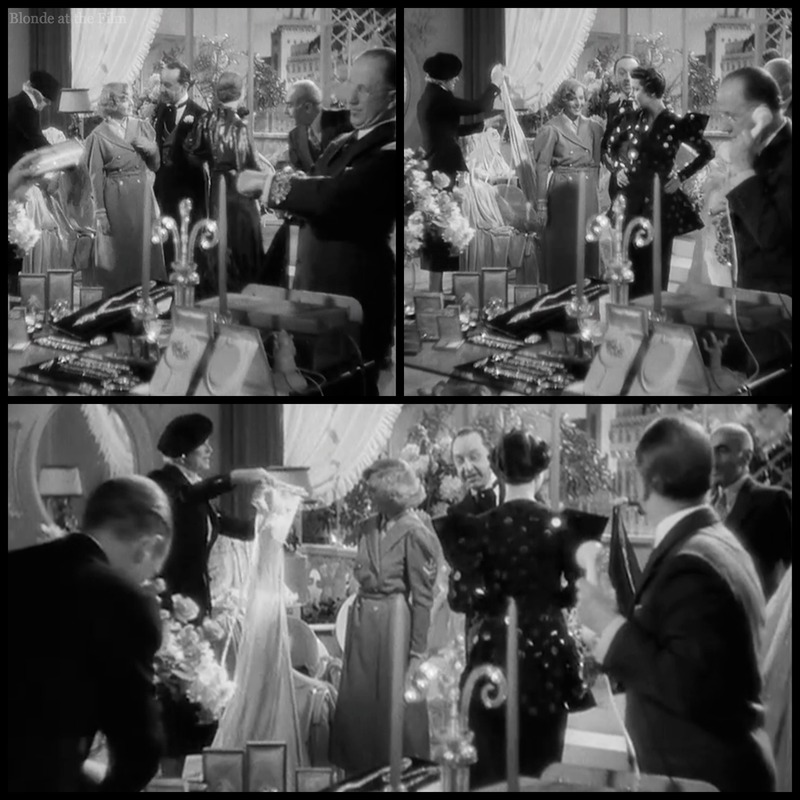 You’ll notice that the opening credits are layered over scenes of wealth and excess: a woman fastening a huge sparkly necklace, adjusting an orchid, reaching for a crystal bottle of perfume, pulling on silk stockings, and picking out a diamond bracelet from a box of baubles. It’s easy living, indeed! You’ll also notice that the film was shot by Ted Tetzlaff, and the costumes were designed by Travis Banton, both of whom were Paramount people and were frequently assigned to Carole Lombard‘s films, too. 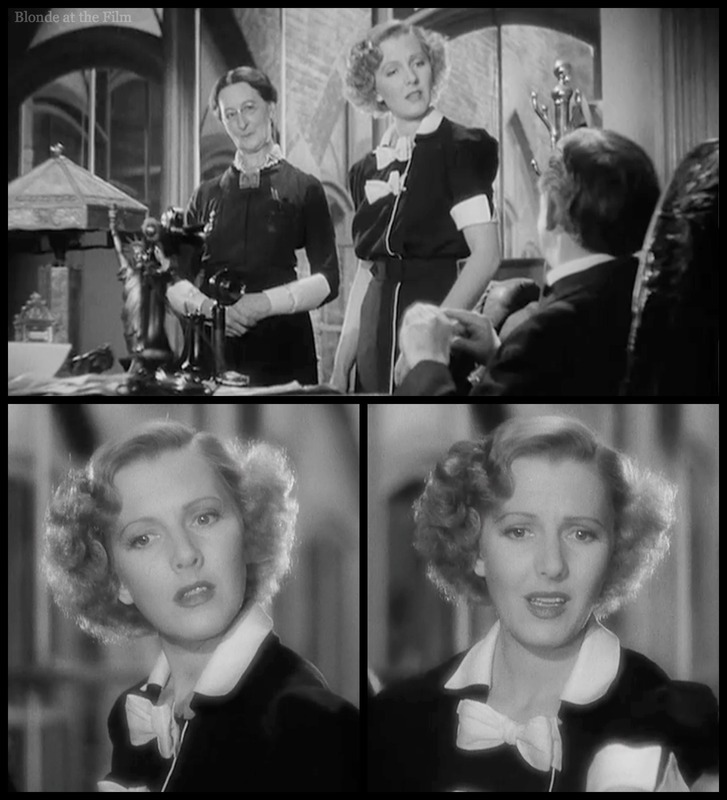 How did Columbia Pictures’ actress Jean Arthur end up in this Paramount film? She was under contract to Columbia, but was often loaned out to other studios (a not uncommon practice wherein a studio would “borrow” an actor for a film and pay the actor’s home studio a fee). If the actor was in demand, a home studio could charge a lot, even substantially more than the actor’s weekly salary. 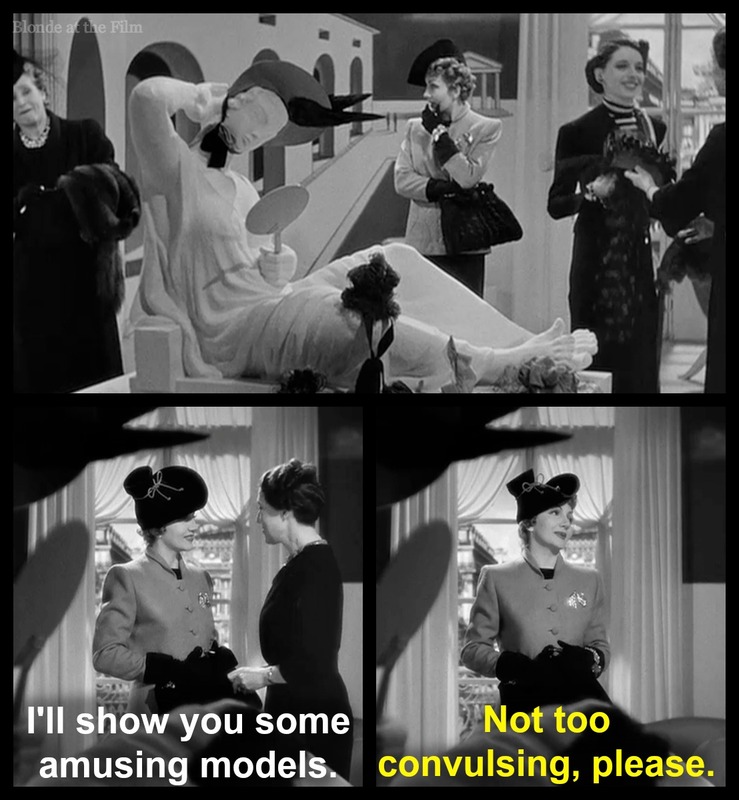 Columbia was unable to stop her from making this movie (she was contractually allowed to make two films outside of Columbia each year), but during filming Columbia sued Arthur for breach of contract, claiming she had three more years at Columbia, and Arthur counter-sued to get released from her contract on the grounds that Columbia had not given her good roles. Whew–the studio system was its own little kingdom with its own (glamourous and rich) indentured servants. Eventually Arthur reconciled with Columbia. Meanwhile, she played Mary Smith in this screwball adventure with its typical Depression-era Cinderella story of rags-to-riches, and a riches-to-rags-to-riches plot, too. Screwball comedy is all about flipping reality upside down and seeing what happens when people step outside their normal roles. There’s usually lots of silliness, both from characters and situations, and plenty of exasperated rational people who eventually give up and embrace the screwball. There is a great deal of physical comedy, too, and nearly everyone in this film suffers a spectacular fall at some point. 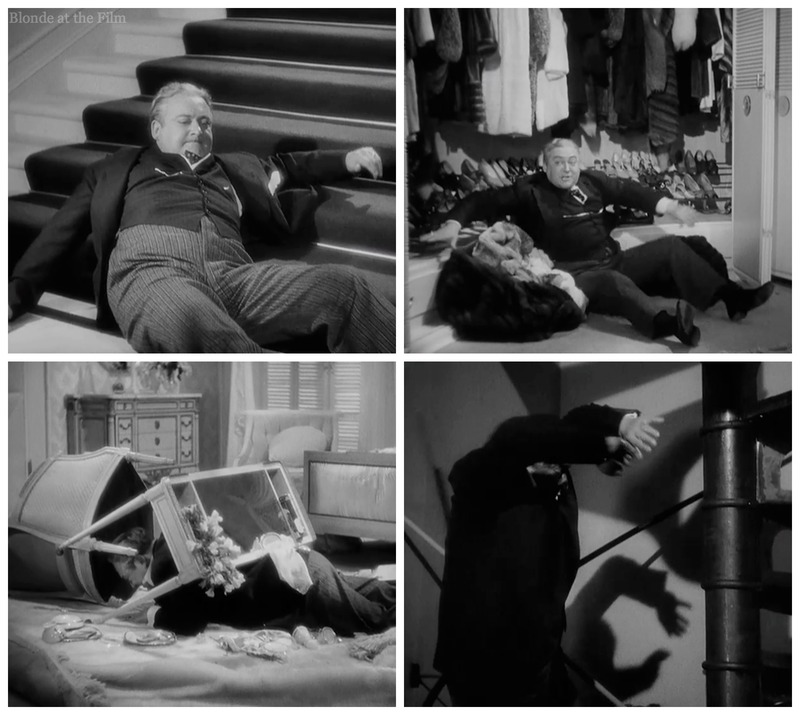 Poor Edward Arnold takes the brunt of the physical comedy, but Arthur and Milland do not escape unscathed. Leisen said later that he added so much slapstick because “I was getting bored with the polite drawing room comedies I had been doing, and I decided to cut loose.” All the physical comedy livens up what is otherwise a very talky-film. 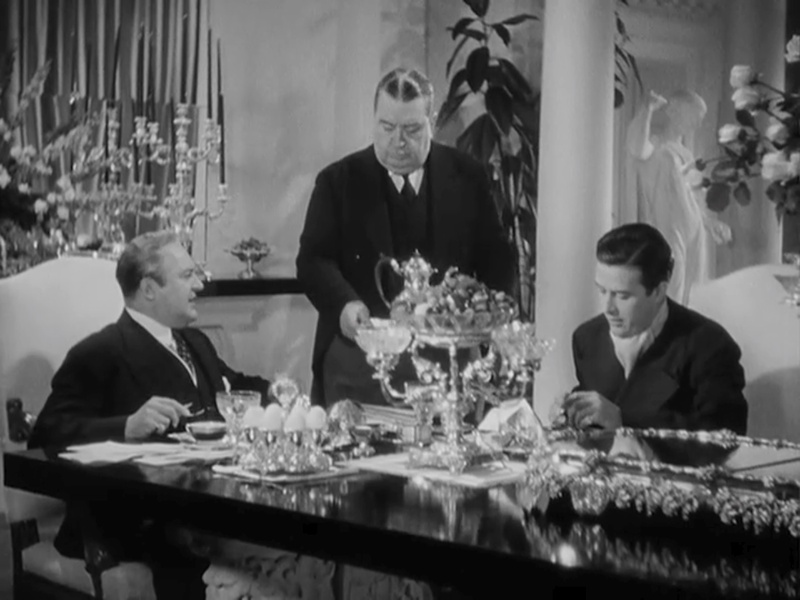 The butler is played by Robert Greig, a member of Preston Sturges’ unofficial troupe. Also look for other Sturges favorites William Demarest and Franklin Pangborn. J.B. is mad at everyone in the house for their spending habits, and he’s frustrated by his son’s lazy (unemployed) ways. 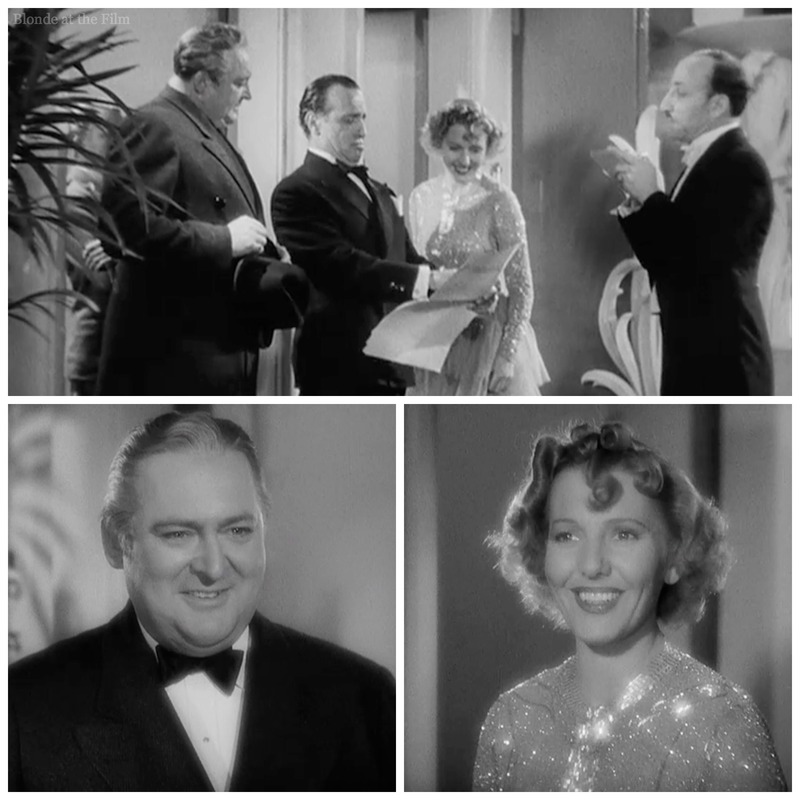 J.B. reminds me of The Lady Eve‘s portly, loud millionaire father and My Man Godfrey‘s patriarch, both played by Eugene Pallette. All these dads are charmingly blunt and not at all snobbishly “upper-crust.” And they all have odd kids and great butlers. Johnny Ball (Ray Milland) is tired of being bullied and announces that he is going to get a job and move of the house. To add extra comedy, the butler provides amusing commentary throughout this loud breakfast. You can watch the opening scene here. 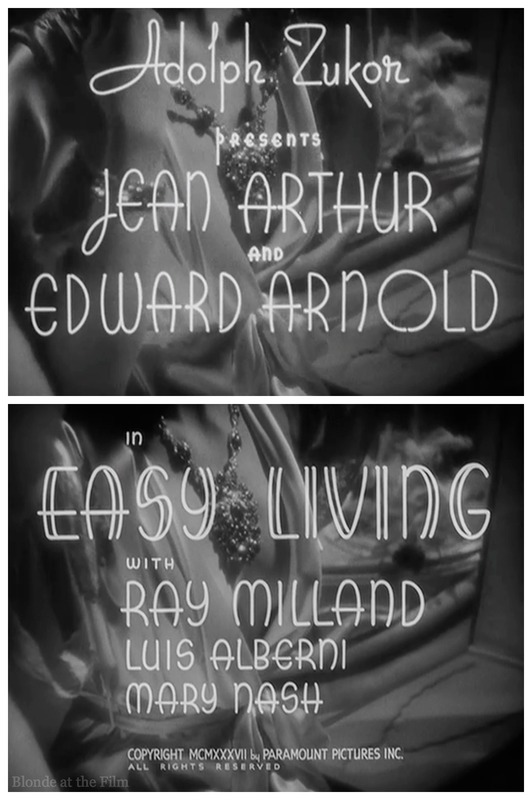 Note that Edward Arnold and Jean Arthur received top billing, with Ray Milland in third. Milland was not a big star in 1937; he’d been cast in small roles at Paramount until quite recently when he was loaned out to Universal for Three Smart Girls (1936), and then, riding high on the success of that film, starred opposite Dorothy Lamour in The Jungle Princess (1936). He demands that she return the new coat; instead she grabs the sable and runs away. After a comical chase around their mansion, J.B. corners Jenny and throws the coat off the roof. 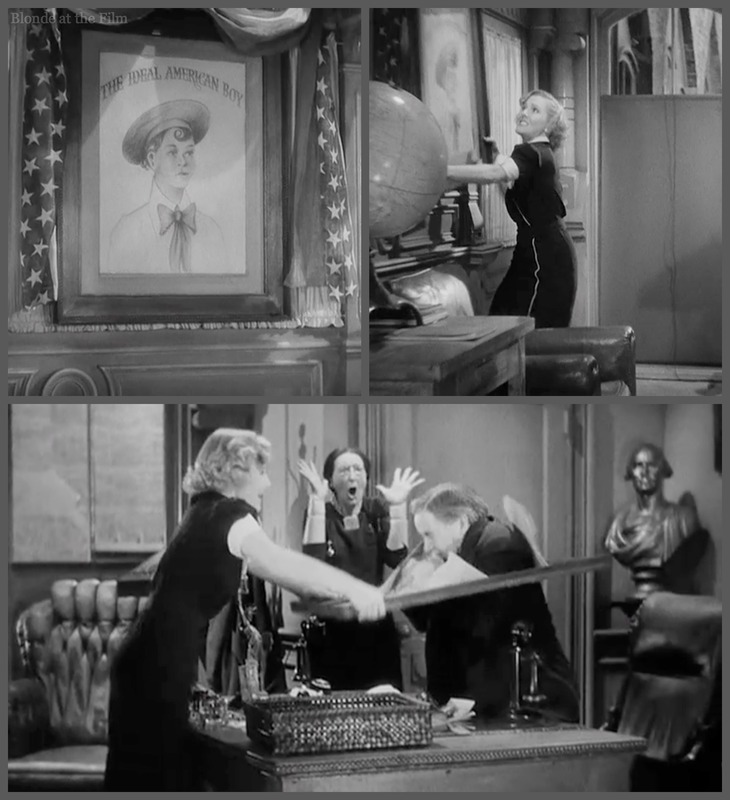 It falls down, down, down, and lands on Mary Smith (Jean Arthur), who is riding a double decker bus to work. Mary immediately gets off the bus and tries to find the owner of the coat. She is honest and good, you see. I love this scene of Mary ringing the doorbells of mansions to see if anyone has lost a fur coat! Ridiculous. Rather improbably, in my opinion, she runs into Mr. Ball as he is leaving for work. You can watch the scene here. J.B. is impressed by her honesty and her hard-working decency, so he gives her the coat, deciding she’s more worthy of it than his wife. Mary is very grateful, but she asks for one more favor. It’s payday and she used her last dime for her bus ticket and now she can’t get to work. Could he spare ten cents? He goes one better and gives her a ride in his chauffeured car. Once inside, she mentions that she’d been hoping to buy a fur coat on one of those handy payment plans. The banker starts to argue with her over installment payments and interest, so they spend the ride in a lovely and frustrating round of repartee where neither can understand anything the other one is saying, or shouting, in J.B.’s case. 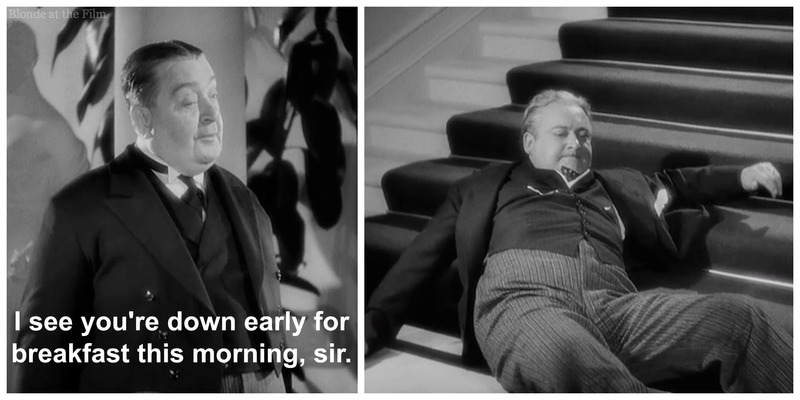 Edward Arnold almost always looks as if he is on the verge of a heart attack, and he never talks, he yells. At one point his faithful secretary implores him to calm down with a “J.B, your blood pressure!” but it doesn’t help. But eventually J.B. and Mary become good pals (though not as good as some will assume…) He notices that the feather in her pert little cap is broken (when the coat fell it snapped the feather). Mr. Ball insists on buying her a new hat. He takes her to a chic salon and purchases an expensive chapeau that matches the fur coat. Turns out he has no problem spending money on someone who he thinks deserves it. Ironically enough, it’s this act of generosity that gets Mary and J.B. in trouble. When J.B. hands the hat salesman Van Buren (Franklin Pangborn) his card, Van Buren takes note of Mary’s outrageously expensive coat and new hat, and makes a nasty but not entirely insane assumption. This girl must be the famous financier’s mistress! Why else would he take her shopping? Van Buren goes to work with his valuable, if wrong, information. In another ironic twist, Van Buren knows who J.B. is, but J.B. never introduces himself to Mary, so she remains in the dark about the identity of this fur-coat-gifting man. Meanwhile, J.B. drops Mary off at the offices of “The Boys’ Constant Companion,” the wholesome Boy Scout-esque magazine where Mary works. Her coworkers are sour old ladies, caricatures of prudish librarians in their spectacles, high-necked dark dresses, and center-parted low buns. Young, spunky Mary with her stylish dress and curls does not fit in. 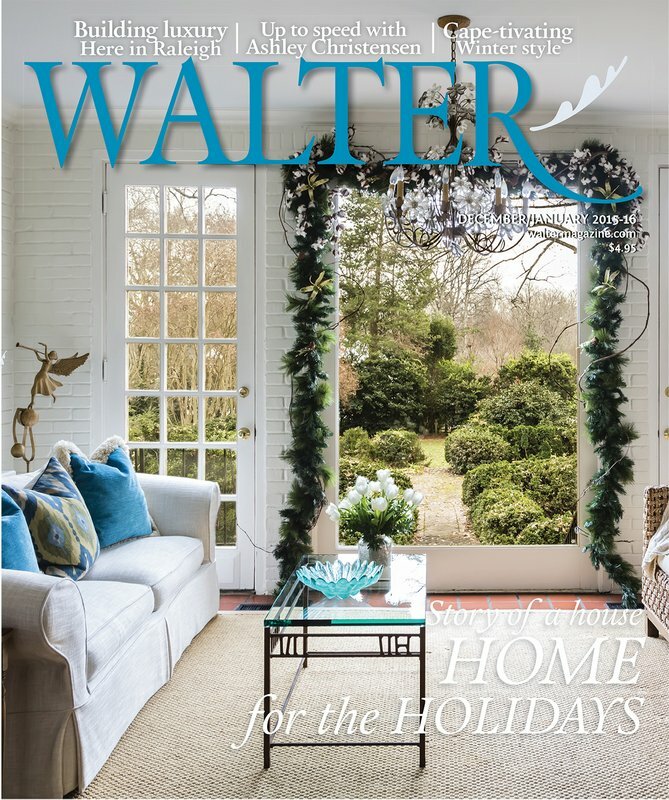 This magazine may be wholesome but it is not friendly. The women see Mary’s coat and begin gossiping. Within a few minutes of her arrival, the editor calls Mary into his office and asked about the coat. She tells the truth, but they don’t believe that the fur coat fell from the sky. Who would? They demand the real story. In a lovely sight gag, Mary looks up at a portait of George Washington as she desperately tries to think of a good lie. There’s Americana sprinkled everywhere in the office, which makes it even more ironic when Mary’s co-workers disbelieve her honesty and goodness. This is supposed to be a place of clean minds and open hearts! Humbug. Anyway, Mary lies and says that she bought the coat herself at Zeikel’s. Her boss calls up the store and Mary is caught in a lie. Well, Mary is fired because everyone thinks that she got the coat as payment for sexual favors or something. Such sordid goings-on can’t happen at “The Boys’ Constant Companion!” As Mary leaves the office, her boss tells her to be careful not to get hit with a diamond bracelet, next time! That’s the final, snarky straw. Mary very satisfyingly breaks a portrait of “The Ideal American Boy” over the editor’s head and storms out. Poor Mary gets home and we see that she is late on the rent and has no food in her apartment. She looks longingly across the alley at a woman cooking dinner, and searches for any spare change. In a funny but poignant scene she breaks open her piggy bank (first blindfolding the cute little piggy with a tissue so it won’t see the mortal blow) and is rewarded with a few coins. Turns out that Van Buren from the hat shop knows Louis, and he told him the juicy story of J.B.’s mistress. Louis decides to settle Mary in a suite in his hotel and hope that this will keep J.B. from shutting him down. Fun fact: Sturges based the Hotel Louis on the Waldorf Towers, which was a financial disaster when it opened during the Depression, but survived and now is one of the most famous Waldorf-Astoria luxury properties. 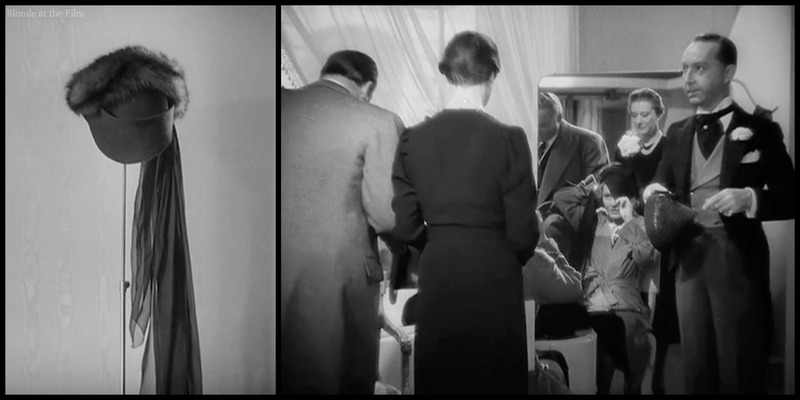 Louis thinks Mary has carte blanche from her rich paramour, so he shows her around the Imperial Suite, a masterpiece of extravagant 1930s neoclassical /art deco/ rococo/ absurd/ white-on-white design. There’s an exercise room with a mechanical horse wearing an English saddle, a huge white piano, plenty of calla lilies, and ornate white scrolls, lattice, and statues everywhere. Everything is glossy white or crystal. Imagine the opportunities for laughs when ridiculous Mr. Louis, wearing an absurdly large chrysanthemum in his lapel, shows Mary around the suite. He gets stuck on the mechanical horse, obviously. 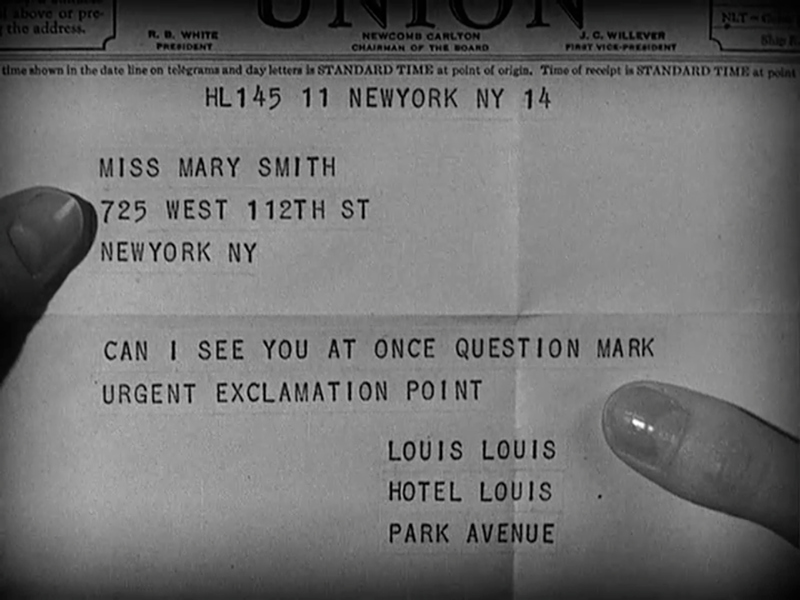 Mary is very confused, and thinks that Louis just randomly picked her to live in the suite as a marketing tool. Louis almost has a stroke when she tells him she can’t pay more than her previous rent, $7 a week, which includes one egg for breakfast. But Louis is desperate, so he accepts, begging her to tell a certain someone how wonderful the hotel is. She has no idea what he means, and assumes he wants her to talk up the hotel around town. He’s too delicately discreet to mention Mr. Ball, and she’s too clueless to understand him, anyway! You can watch the scene here. Hurray for screwball misunderstandings that are somehow very clear-cut yet impenetrable to the characters involved! 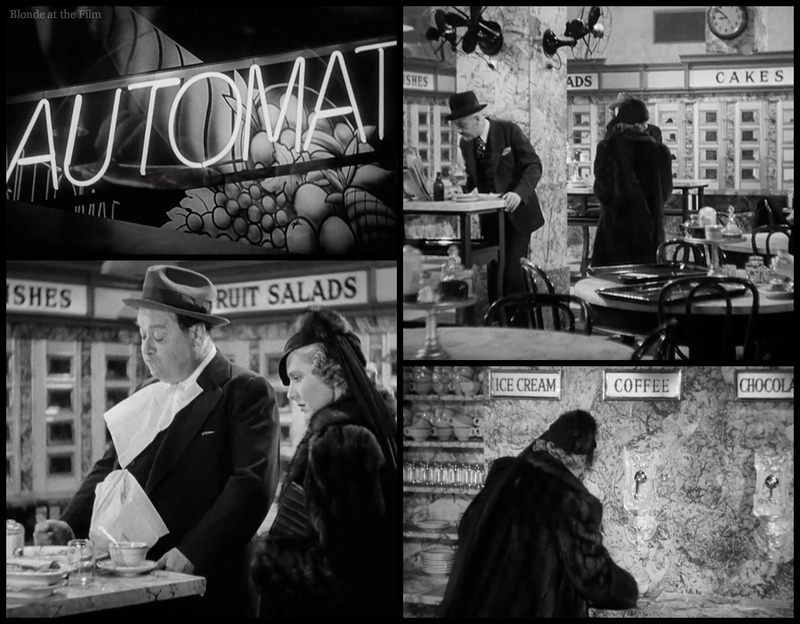 Mary heads out to an automat for dinner. That’s a restaurant where the walls are little windows and you put in a coin or token in the slot, the window pops open, and you can grab your beef pie or cherry pie, fruit salad, or cake or whatever you want. They’re amazing and were a fun novelty at the time. 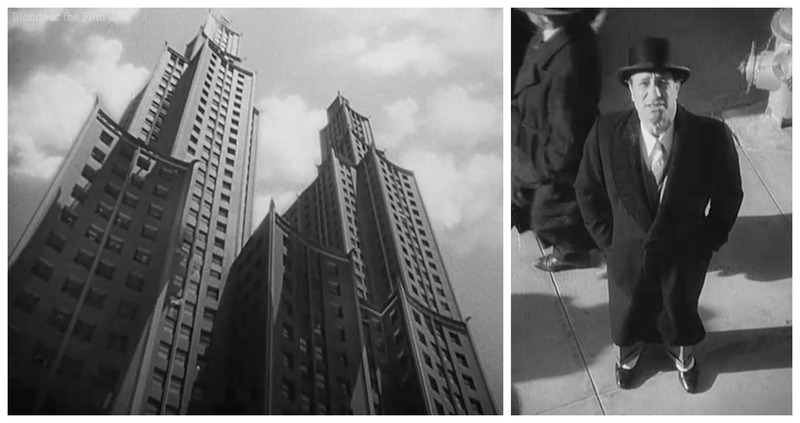 Plus they’re a great setting for a screwball scene, as we’ll see in a moment. You can learn more about them in this History Through Hollywood post. Mary can’t afford much, and she stares hungrily at that fat man’s pile of dishes. Meanwhile, a handsome young waiter notices the beautiful woman in a fancy fur coat and hat. It’s Johnny Ball, who has indeed gotten a job despite his father’s doubts! Mary is distracted by Johnny and doesn’t get her cup under the coffee spigot in time; most of the coffee spills. It’s pitiful. And ironic. A $58,000 coat and no dinner. Johnny watches Mary and comes to a daring decision. He tells her that he will open the windows from the kitchen side so that she can get some food for free. He likes her. And she’s really hungry. So she agrees to the scheme and meets him at the beef pies. Isn’t he adorable? 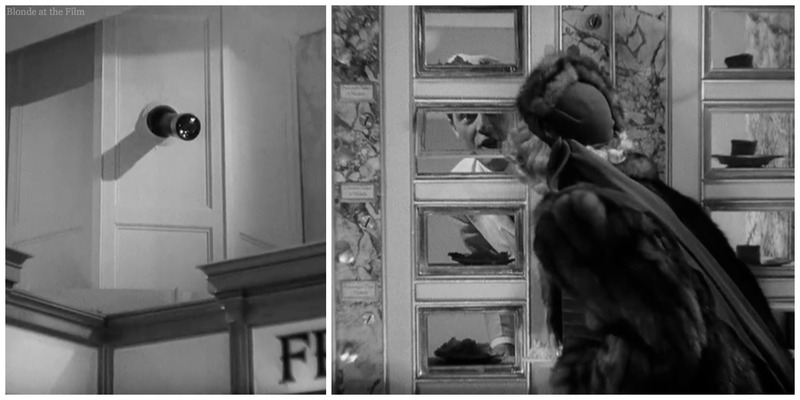 What Johnny and Mary don’t realize is that the automat has surveillance, and the spying peephole catches it all. When Johnny turns around, there’s a burly security officer at his shoulder. Johnny tries to run for it, but trips and falls, bringing down a whole stack of plates, too. As he and the security office scuffle, one of their feet kicks a lever, thus opening all the automat windows and sending beverages spilling out of their spigots. My favorite part of this chaotic scene is that the ice cream chute, next to the coffee spigot, starts shooting rounded scoops of ice cream onto the shelf below at amusingly regular intervals. Plop, plop, plop! Mary is alarmed at the noise of the fight, but she keeps eating her beef pie. She’s really hungry. Most of the other customers, though, make a run for the free food. 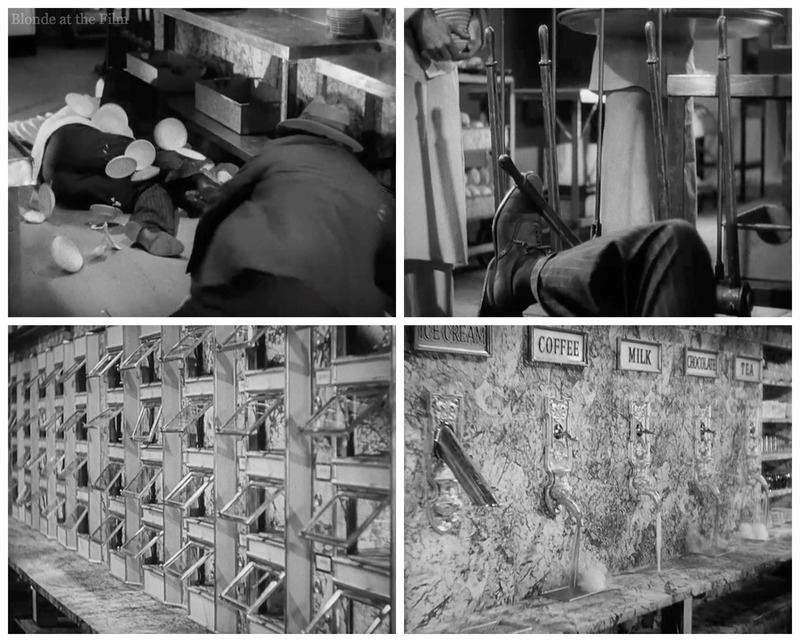 A shabbily dressed man even runs into the street, shouting that there’s free food in the automat! 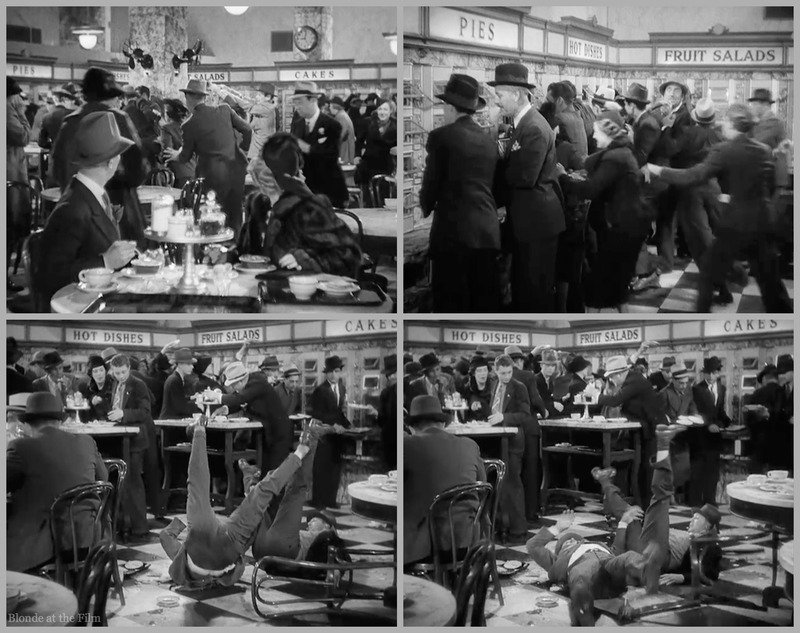 People stream into the restaurant, and eventually there’s a riot, with plenty of slapstick falls. Johnny is fired, obviously, and Mary feels terribly. She thinks that Johnny is like her, a broke, hardworking person down on his luck. Remember, Mary doesn’t know that Johnny is Mr. Ball’s son, and Johnny doesn’t know that everyone thinks (wrongly, of course) that Mary is Mr. Ball’s mistress. Think of all the comedy that can arise from this situation! So Mary has no idea that Johnny can return to his mansion anytime he likes. She’s afraid that he will have to sleep in the park, so she invites him to the Hotel Louis. He is even more confused about how a woman without any money can afford to live at the Louis. Once there, she shows him around, but the tour pauses in the bathroom with its kiddie-pool sized bathtub presided over by a female figure and some cherubs. They can’t figure out how to turn on the water. It’s amazing, probably my favorite scene in the film. They’re both shouting and scrambling trying to turn off the jets, slipping and falling and laughing the whole time. The doorbell buzzes in the middle of all of this nonsense, and as they run to answer the door, Ray Milland trips and falls in what looks to be an accident. He’s certainly grinning widely enough for me to believe it was an unscripted screwball moment. You can watch the bathtub scene here, beginning at 8:30 in this clip. Who’s at the door? Why, it’s smarmy, rumor-spreading Van Buren with an armful and headful of finery for Mr. Ball’s mistress. Mary is baffled by this sudden shower of freebies, but she takes the clothes with a smile and a thank you. Meanwhile, Mr. Ball has arrived at the Hotel Louis. His mansion was too quiet and lonely (his wife left for Florida in a fit of anger about the coat). 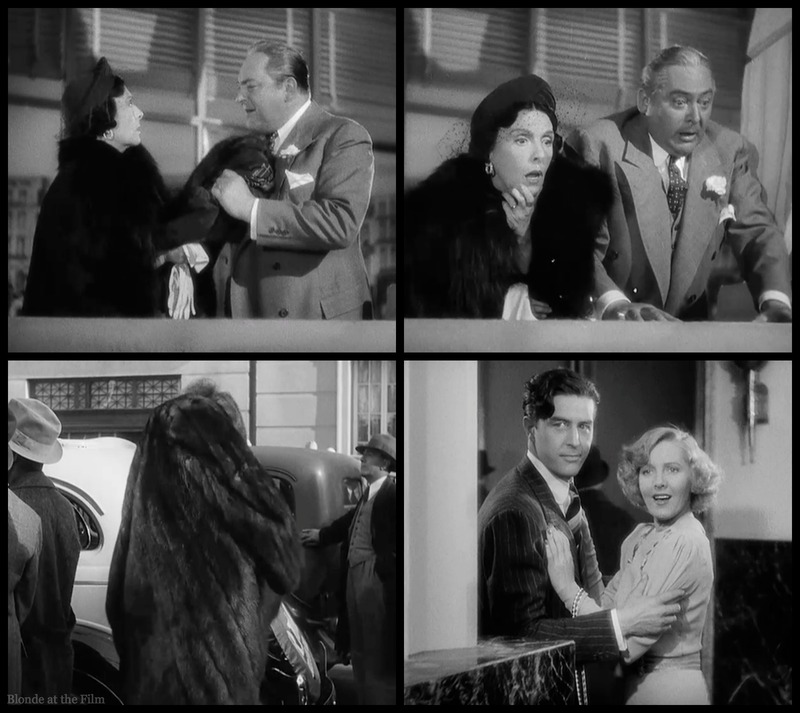 As luck would have it, Louis is giving the story of Mary and J.B. to a gossip columnist (William Demarest) just as J.B. arrives at the hotel. The reporter doesn’t believe Louis, since J.B. has the reputation of being devoted to his wife, but then he sees J.B. taking a room at the same hotel as his “mistress!” Well, it sure feels true! In another wonderful “coincidence,” Mary runs into Louis and J.B. in the lobby. She’s evidently tried on one of her new gowns, a Travis Banton confection of sparkle and tulle. J.B. is delighted to run into Mary again, and Mary is delighted to see the man she calls “Santa Claus.” Neither has any idea that the man currently drying off in Mary’s suite is J.B.’s son. And neither J.B. nor Mary know that just about everyone else thinks they are tangled in a passionate love affair. Mary is there to ask Louis if she could get her one egg now rather than in the morning. Louis is the soul of discretion as he and J.B. order a decadent supper for two to be sent to Mary’s suite. Mary returns to the suite where she and Johnny sup on a fabulous meal, “my father’s favorite,” says Johnny, cluelessly. 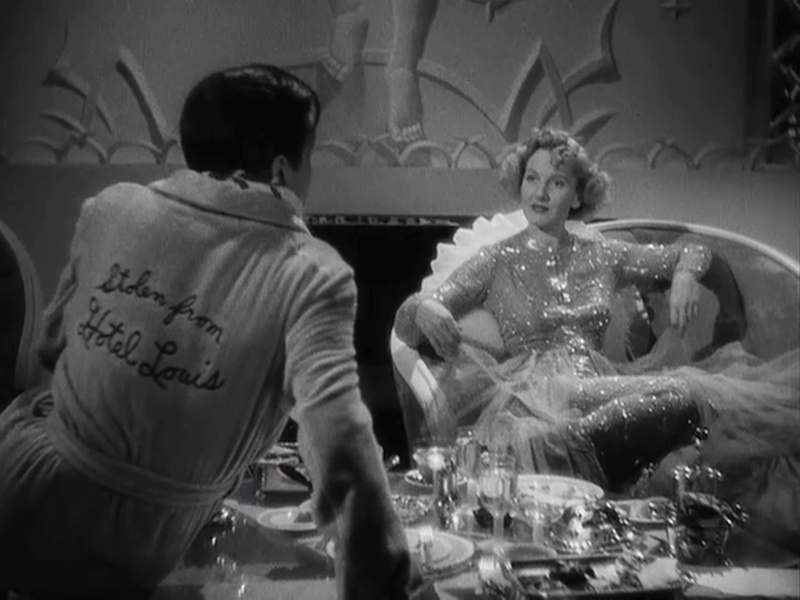 They chat easily as Mary fluffs her ruffles, and Johnny lounges in that hilarious robe with “Stolen from Hotel Louis” on the back. They’re sleepy and relaxed, and maybe a little drunk, and before you know it they’re falling asleep together. This sounds risqué, but note that they positioned feet to head, and they’re not in a bed! The next morning, just to be clear, Mary wakes up, alone, in her big white bed to the sound of telephones ringing. There’s one on each bedside table, and each has people on the other end asking her what color car she would like, or when they can bring over some jewelry. 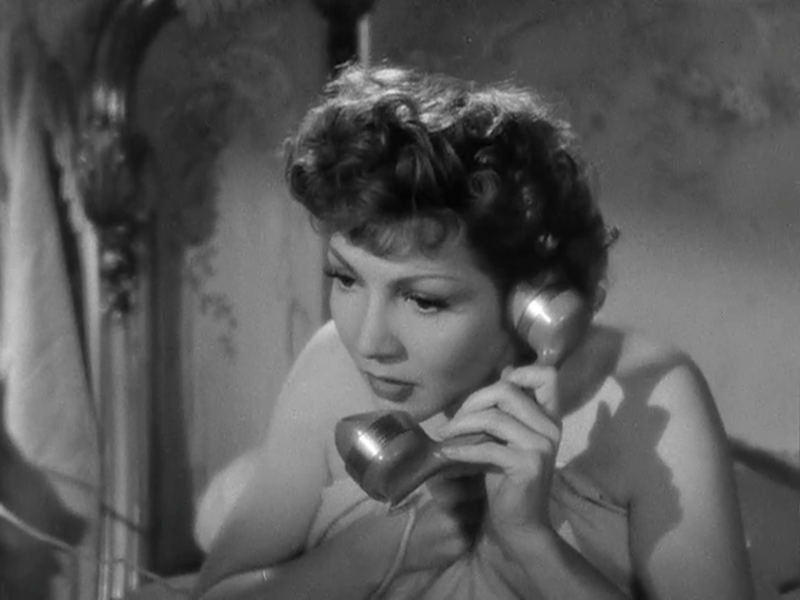 It’s a scene echoed almost exactly in Midnight (1939), when Claudette Colbert is awoken in her luxury hotel suite by simultaneous phone calls about her car and chauffeur and other goodies. In many ways, Eve Peabody’s trajectory in Midnight mirrors Mary Smith’s in this film. Both women start out with hardly a penny to their names, but through the generosity of extremely wealthy men, they find themselves in a world of luxury literally overnight. Suddenly they have new wardrobes, new cars, new hotel suites, and new jewels, and everyone thinks they are someone else. In Eve Peabody’s case, a wealthy aristocrat is her fairy godfather who sets her up as a fake Baroness so she can woo his wife’s lover. Mary Smith’s fairy godfather has no ulterior motive and was just being exceedingly generous; it’s other people’s assumptions about his motives that cause cars and diamonds to arrive at her door. 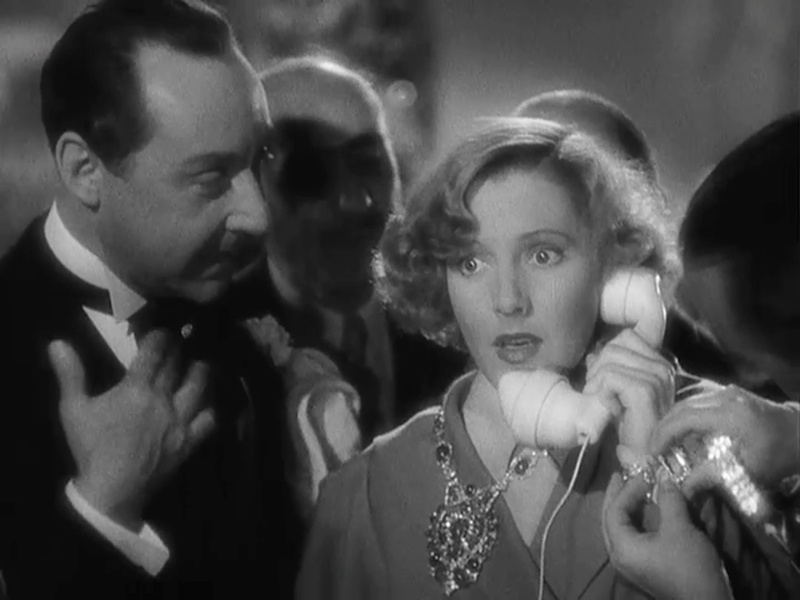 Anyway, Leisen directs this bedroom-telephone scene wonderfully in both movies. Unlike Eve Peabody who worries that she has gone insane, Mary tries to hide under the covers until it all goes away. But everything just escalates! The reporter publishes his piece on J.B., which even J.B.’s household staff believes! The news has gone 1937’s version of viral. In a comical montage, everyone who is anyone, or who wants to be, suddenly packs up and moves to the now-famous and hot Hotel Louis. This includes two brassy “ladies” who decide to go where the bankers are! At breakfast, Mary and Johnny look for jobs in the newspaper, though they both conveniently overlook “The Back Door” column. Even with her new “easy living,” Mary is determined to get back to work, and she wants to get Johnny a new job, too. She’s concerned about him, as he has no training nor experience in anything. He’s discouraged, too. As they search the classifieds, a man arrives at the suite to ask Mary about steel. Turns out J.B. is the expert on that commodity, and this man is a stockbroker hoping that Mary will have inside information. She has no idea what is going on, as usual, and asks Johnny if steel is going up or down. He says down, since it looks as though it might rain. He doesn’t realize that she’s asking on behalf of a broker, or that it was a serious question in the first place. The little man gets terribly excited and runs away with his new information. Someone even puts the necklace from the credit sequence on her. She’s wearing it when she gets a call from the stockbroker, telling her that she’s made $18,000 on steel. Johnny thinks she’s lost it, but he takes her to the pet store anyway where she buys two enormous woolly dogs with the bangs all over their faces. And some fish and birds, too. They’re loading up their new animals when Johnny catches sight of a headline. While he was buying dogs with Mary, his father was buying up thousands upon thousands of shares of steel, confident that the dip in prices was a temporary swing. But the stock didn’t recover, and now J.B.’s bank is almost bankrupt. Johnny hurries to his father’s side. His mother has come back, too. As Johnny pieces together the story of his father’s affair with Mary, and the steel debacle, Mary returns to the Hotel Louis. Louis, who will be ruined if J.B. goes down, finally stops being discreet and tells Mary to intervene on his behalf with her lover. Now Mary knows why her life has changed so drastically. First she slaps Louis’ face, then she hurries to J.B.’s bank to set things right. They won’t let her in, but fortunately she’s brought her big dogs. She sets them loose and follows their trail of slapstick into J.B.’s office. Ta da! The ticker tape starts spitting out good news for J.B. The bank is saved! But Johnny doesn’t believe Mary’s protestations of innocence regarding his father, which hurts her very deeply. 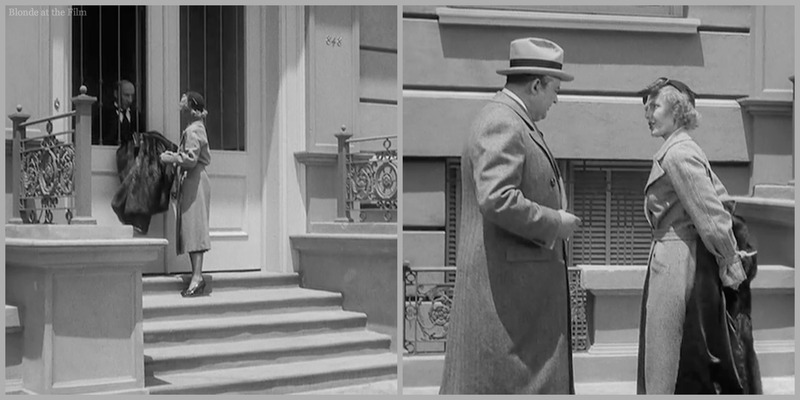 Just as Johnny proposes to Mary, his father throws the coat off of his balcony and it lands on a young woman, snapping the feather in her cap. It’s a lovely bookended finish. This movie is fresh and quick and it doesn’t run out of steam, even though it centers on a fairly simple misunderstanding. The mistaken identities and screwball happenings with plenty of slapstick keep the movie moving along. 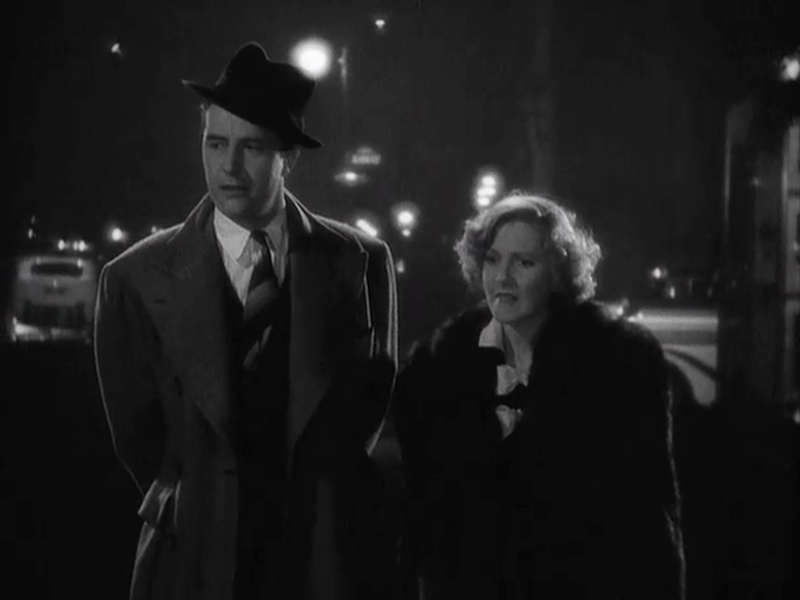 I love Ray Milland and Jean Arthur together, and the whole film looks fantastic and sort of ironically glamorous, as though everything could collapse at any moment. That fragility is ever-present in the movie. Nearly every character suffers through a rapid, scary downfall, or a fabulous, fortuitous improvement due to something stupid or just plain wrong. Mary is broke even when she has a job, which isn’t right, and then she loses her job when her boss gets the wrong idea. Louis’ hotel is almost kaput but becomes popular because of an inaccurate rumor, and J.B.’s empire, and the entire stock market, almost crumbles due to a joke tip. Beneath the funny surface there is some serious anxiety over the stock market (it is all so nebulous and arbitrary–if Mary can cause a crash with a silly tip, then what is protecting people’s investments? 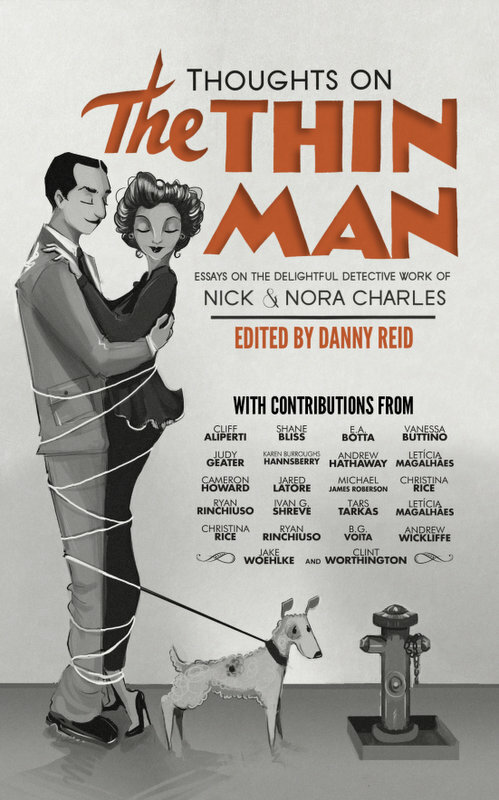 ), working women struggling to pay the bills (so much false “prostitution!”), the arbitrary nature of (un)employment (Mary, Johnny, Louis), the irresponsibility of the wealthy (Mrs. Ball), and the hungry mobs (the riot at the Automat). 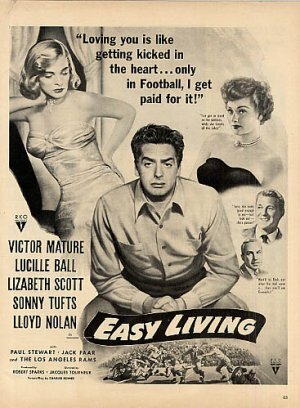 Even the title is interesting: “easy living” for whom? For more, follow me on Twitter, tumblr, pinterest, and Facebook, and Instagram. And you can buy this movie here. As always, thanks for reading! Screwball is my favorite genre! Romance + humor, with great character actors and writers like Preston Sturges. Who could ask for anything more? Thanks for this lovely photo essay. 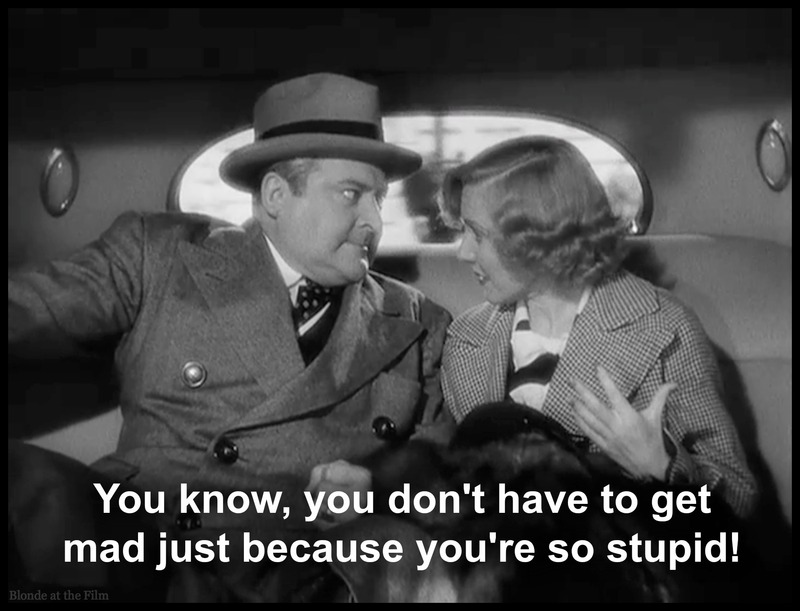 Jean Arthur was one of the best. I enjoy her in just about anything and Edward Arnold is one of the best actors of all time in my opinion. Nobody gets mad as good as Edward Arnold in a movie, oh maybe Donald MacBride does just as good a job as well. I see you have a photo of the great character actor Franklin Pangborn in your photo montage as well. He added to any film he was in. I haven’t seen this one in awhile, I will have to revisit it. Thanks, John! Edward Arnold is a champion shouter, that’s for sure! Thanks for reading! Let me know what you think of Easy Living when you watch it again! I love love love love “Easy Living”. 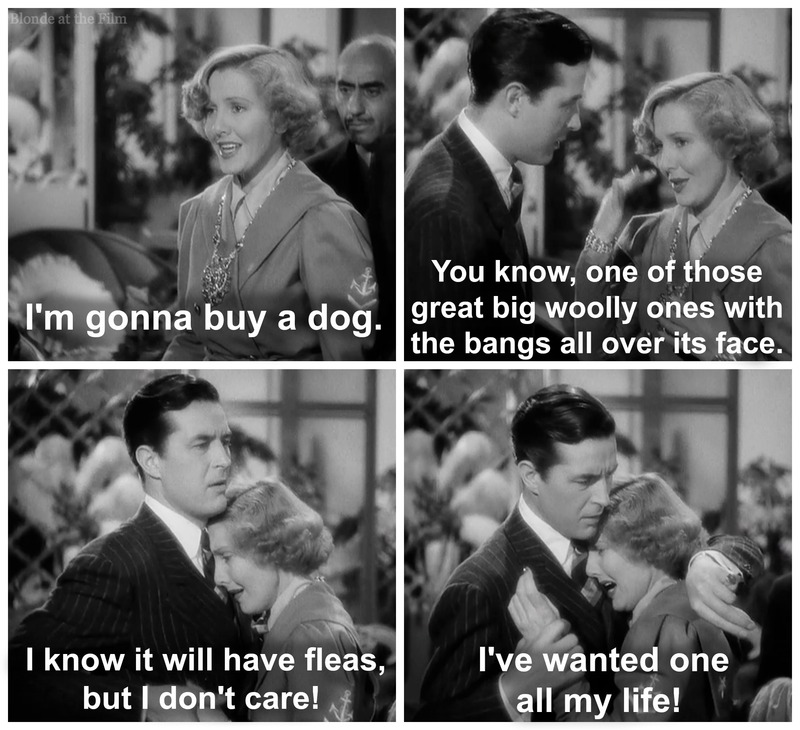 I’ve been a fan of old romantic comedies for several years but I didn’t discover Jean Arthur until afew years ago. She is so much fun! 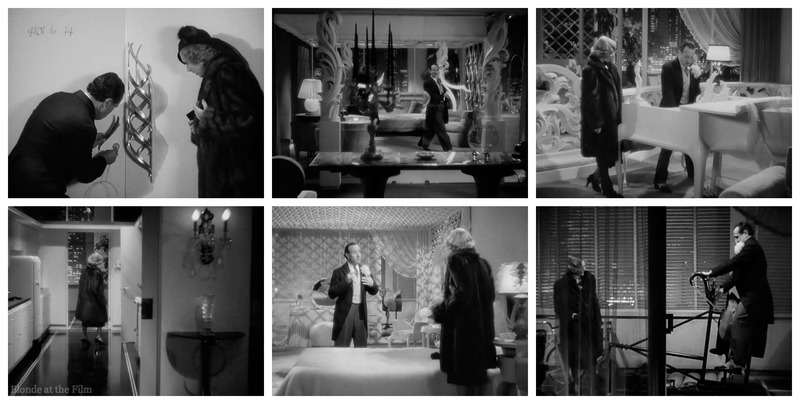 “The More The Merrier” (with Charles Coburn who I also really enjoy), “The Devil and Miss Jones”, “Mr. 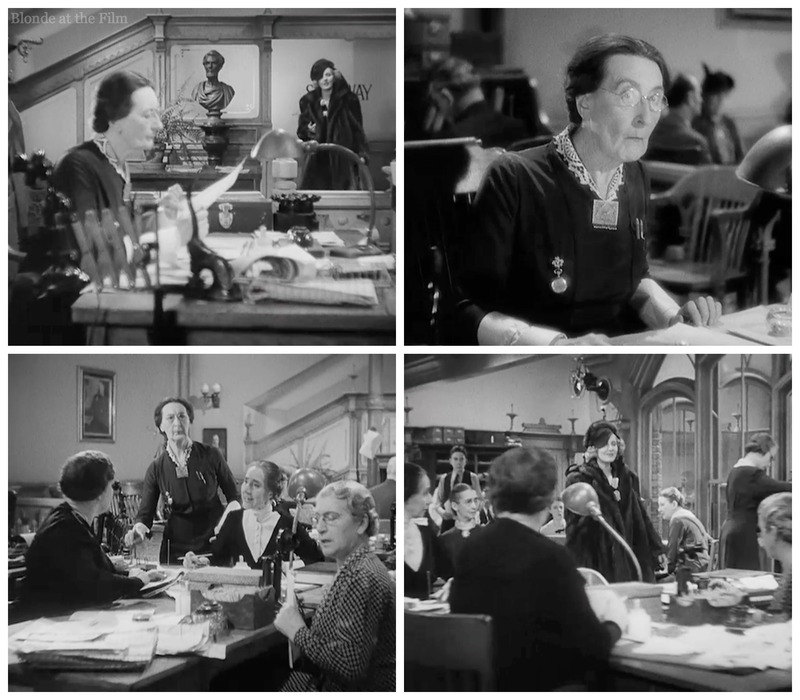 Deeds Goes To Town” and “More Than A Secretary” are some of what she did that I enjoy. Easy Living is such a blast and a fun “escape”. Thank you for a terrific expose of the film. 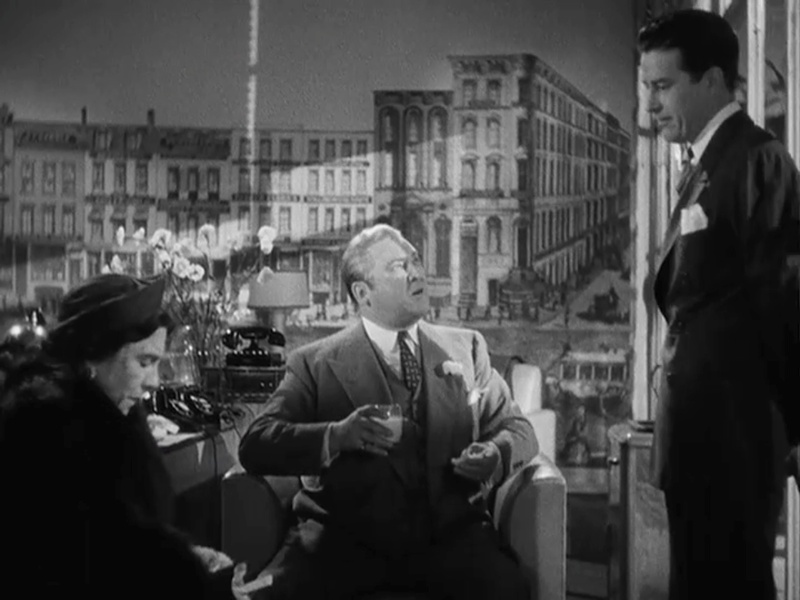 Ray Milland, Edward Arnold , Esther Dale and Franklin Pangborn are so enjoyable. And I even liked Mary Nash in this movie. Have you ever seen the film, “Champagne For Caesar”? It stars Ronald Colman and Celeste Holm. It also has Vincent Price (in a comedic role), Art Linkletter, Barbara Britton and Mel Blanc does the voice of Caesar. :0) It’s worth a look. So glad you enjoyed my review of Easy Living! The More the Merrier is one of my very favorites! I’m writing about it soon. 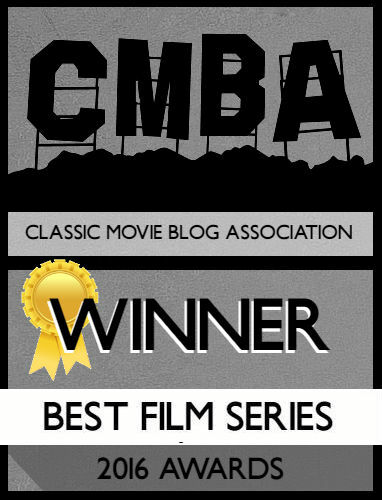 I haven’t seen Champagne for Caesar–thanks for the recommendation! Thanks for reading, Ali! You are so welcome! I think you’ll have a blast with Champagne For Ceasar. Here’s Art Linkletter talking with Vincent Price about it. 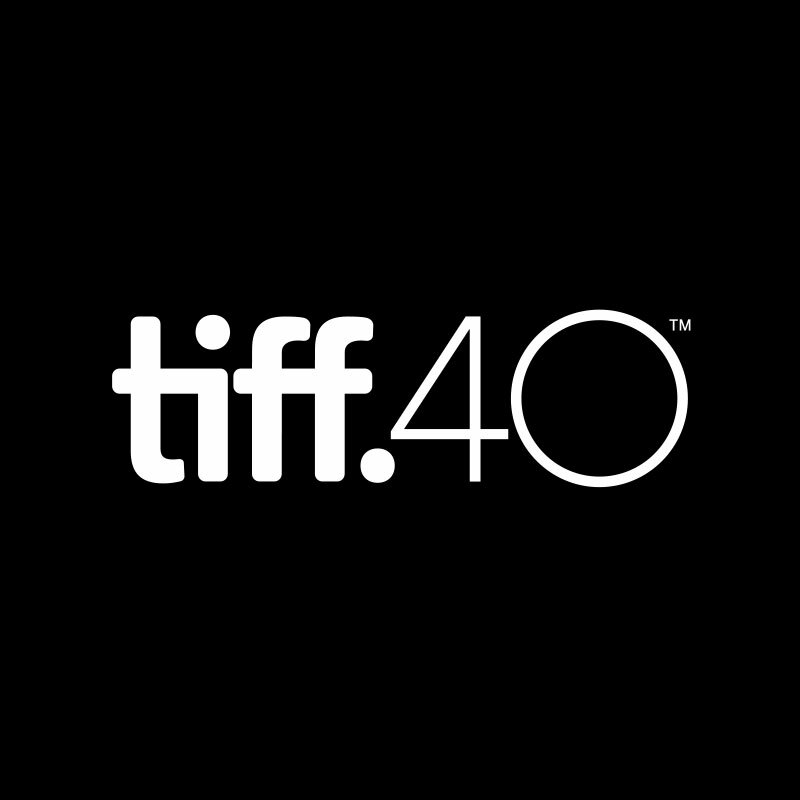 https://www.youtube.com/watch?v=wHNQ7yM5HmA The clip they have at youtube on the film is kinda boring…. the movie as a whole is more fun. Another kind of rare oldie is “Three For The Show” with Betty Grable, Jack Lemmon, Gower and Marge Champion. It was such a blast to see Jack Lemmon dancing with Grable and Gower. And Grable has fun with two husbands. And have you discovered “Every Girl Should Be Married” with Cary Grant and Betsy Drake? That one kind of grows on you. 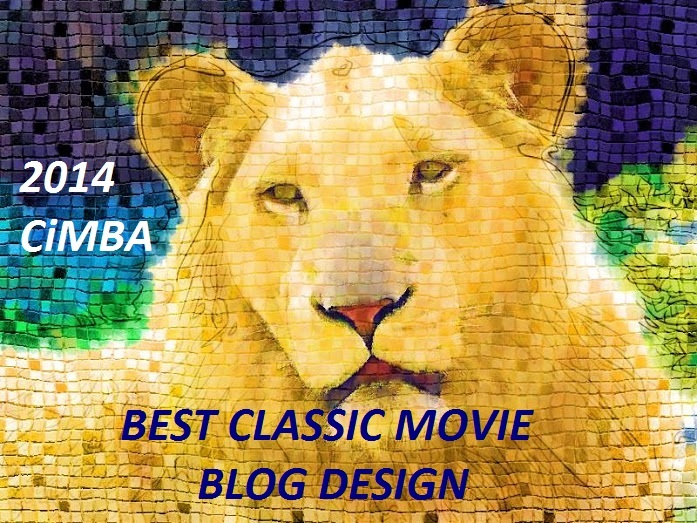 Thorough and fun review of a classic of the genre.